Why yes, the Editrix has her share in the conversation, and we are honored to be included in this outstanding group of writers. Our essay is about Jane Austen as a professional author, and a little bit about what she might have thought about her current celebrity (and all the stuff that goes with it, she typed as she sipped tea from her brand-new “Janeite” mug). If you would like to purchase the book–it would make a tremendous holiday gift for any Janeite in our humble opinion–there are links at the bottom of the website linked above. To enter the contest, post a comment below and be sure to leave a working email address in the email field. (If you are signed in to WordPress.com, that is sufficient.) U.S. and international readers are invited to enter this giveaway. Thanks to Landsdown Media for providing us with copies of the book. ETA: to clarify how the giveaway will work, we’ll pick five random commenters below using the Random Integer Generator to match up with the comment number. Only one comment per person (the first one) will be counted as an entry. You can enter until 9 p.m. Eastern U.S. Time on Saturday, December 17. Check the email address you left in the comment on Sunday morning to see if you are a winner–you will have to send me your address to receive the book. The email will be from the AustenBlog email address. Happy Birthday to Jane – and bravo to you and your illustrious company. What a fun follow-up project to your “Jane Austen Cover to Cover”! I would love a chance to win this book also. 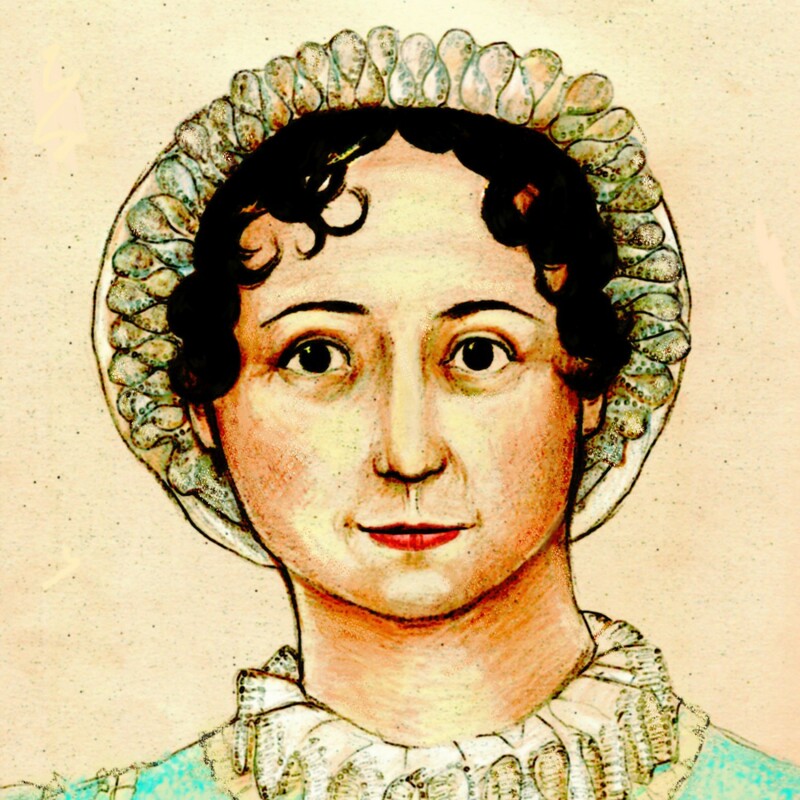 This is my first blog following and I’ve learned so much about Jane Austen. Than you for Keeping it going. I absolutely LOVE Jane Austen’s books. This new one sounds great. Hope to win one!! This book sounds amazing! Thanks for your generosity in running this contest. A Sanditon film is being made with Charlotte Rampling in the lead, so yep, they’re starting to look to her other works. So excited to read your contribution, and so many others from such great authors! I had totally forgotten this was a thing coming out, so thank you for running the giveaway, LOL. How did I not know about this book until now? Will definitely be ordering if I don’t win. I am the regional librarian for my JASNA group and our little library needs this book. Thank you for the chance. Happy birthday, Jane! Happy Birthday, Jane, and thank you, Editrix, for this opportunity to win this wonderful book! Yesterday I managed to obtain a copy of the ‘Memoir of Jane Austen’ of 1871, this was the second edition of the memoir and included the first publication of ‘Lady Susan’. On the spine the volume is entitled ‘Lady Susan &c’. So I would definitely like to be included in your draw. You might like to check out my blog, I am currently running a series, 5 things you might not know about Jane Austen. A very happy birthday to you, my most favourite author. Thank you for being. Thank you for your works, your wit, your wisdom. Happy Birthday to Jane! What a fun way to celebrate! Happy birthday dear Jane! And thank you dear Editrix for keeping this blog going. It’s given me a lot of joy over the years. Happy birthday to Miss Austen and Editrix, thanks for this giveaway. I’m looking forward to reading your book! Glad to hear you are resolved to write more in the new year. The world needs the Cluebat of Righteousness about now. Amen re: the Cluebat. You go, Mags! Happy Birthday, Jane! Adding this to my to-read list. Count me in. Happy birthday, dear Miss Austen, and seasonal salutations to the Editrix! Will be thrilled if I win the book. I read Jane’s books over and over both in Braille and audio, and I read everything else about her I can get my hands on with a talking scanner as I am blind. Thank you. This looks wonderful, thank you for offering it! Happy birthday to Jane! Oh, goody! I have a spot reserved on my Jane Austen bookshelf. Would be honored to win a copy! So glad that you continue to write and contribute to the Jane Austen-related book world! Happy birthday Jane! What a legacy she has left us! And for Jane Austen’s birthday this year, we get to celebrate by watching intergalactic Catherine Morland plot to blow things up! Actually, I’ll be working instead, but a Janeite colleague and I are going out for sticky toffee pudding this evening to mark the occasion. Our celebration isn’t for a couple of days, but we’re looking forward to playing Spillicans, Lottery Tickets, Regency Charades, having tea with biscuits, and, of course, the best company! My understanding is that they are using the Marie Dobbs ” Another Lady” completion. Also I don’t think this is actually a done deal, though Charlotte Rampling would be a smashing Lady Denham! Happy Bday Jane and thank you for the giveaway! I hope(and have the honor) to be joining you in a future project! That’s in my towering TBR pile, too! Being a Decemberling myself, I’m pleased every time I’m reminded of Austen’s birthdate. Happy Birthday to her! Is there still time? I only check my email on the weekends… It was my birthday on the 12th so maybe you feel sorry for me? LOL. I absolutely love her birthday cake. My congrats to whoever made it. Thanks for the giveaway (even if I am too late). Yes, there are still a few hours! I’ll close the comments when time is up.